Our range of products include hydraulic paver tiles block making machine, concrete paver block making machine, paver block making machine, three phase hydraulic paver block making machine, three phase paver block making machine and hydraulic paver block making machine. Backed with huge industry experience and market understanding, we are involved in providing a wide variety of Hydraulic Paver Tiles Block Making Machine for our valued patrons. We offer our customer’s machine that is used for paving blocks in footpath, car parking and other places according to your requirements.These paver bricks block making machine are designed with precision, all our paver machines provide long service life and require minimum maintenance. 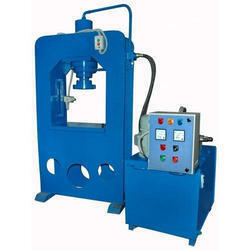 These paving block making machines have high resistance to concrete load and maintain exact joint width while paving. With an objective to fulfill the demands of our clients, we are engaged in providing a wide array of Concrete Paver Block Making Machine. Riding on unfathomable volumes of industrial expertise, we are engaged in offering a broad assortment of Paver Block Making Machine. Quality being the prime concern, we offer dimensionally accurate range of Paver Block Making Machine that are used to manufacture the vast array of mosaic tiles. It has been fabricated from superior quality raw material and designed to deliver optimum performance.These products ensure low power consumption and are delivered in varied technical grades. In order to keep pace with never ending demands of the customers, our company is instrumental in presenting an excellent quality assortment of Three Phase Hydraulic Paver Block Making Machine. 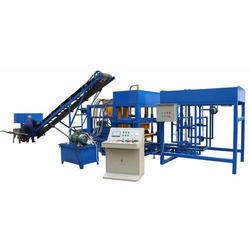 Owing to the rich industrial experience and expertise in this business, we are involved in providing a supreme quality array of Three Phase Paver Block Making Machine. With a firm commitment to quality, our organization is engaged in offering a wide ambit of Hydraulic Paver Block Making Machine.